Which franchise businesses are best for 1500 sq ft area? Ice creams are everyone’s favorite irrespective of their age, gender and region. Everybody loves to have ice cream in almost every season. It is the favorite desert of many people and has the extraordinary capability to cheer up a sad person and to increase the excitation level of bored entity. And if you wish to set up a business that not only fetches you good returns but also makes everyone around you happy and delighted, then ice cream parlor is surely one of the best business options available for fulfilling your desire. Yes, ice cream business has been one of the consistent businesses in India that is not only present almost in every region of the nation but also gives assured returns in short time. After establishing its business well in northern India and becoming one of the most renowned tastes there, Giani is offering its franchise to the new business ventures all over the nation. The franchise can cost you about 12 to 18 lakh and the floor area required is from 80 sq feet to 300 sq feet. It is a reliable investment option for your business. As the tag line of the company suggests “taste the sweetness of success with cherry fresh” so does it implies also. With an investment ranging from 3 lakh to 15 lakh you can avail its franchise. The floor area required is of about 60 to 225 sq feet. It is a franchise for small as well as big business plans. It offers the best liquid nitrogen ice cream with cream base which is one of its kinds. With an investment of around 8 to 9 lakh you can own the franchise of this unique company and enjoy the privilege of being unique yourself. The floor area requirement is 100 to 300 sq feet. This is a good investment in an innovative way. This is the iconic liquid nitrogen ice cream brand that gives you the opportunity to avail its franchise by making an investment of about 30 lakh to 35 lakh. It is a well established name in the field of ice cream business and continues to expand its business all round the nation along with offering its franchises to new businessmen. The minimum floor area requirement is about 400 sq feet. Ice cream works is yet another well known name in the ice cream business field. It has a large chain of ice cream parlors owned in its name and is still expanding its steps all over the country through its franchise outlets. If you want to avail franchise of this ever expanding company then you need to invest an amount of 5 to 7 lakh with a floor area of about 50 to 200 sq feet. This brand enjoys the privilege of being the producer of first hand crafted ice creams. If you wish to own the franchise of this innovative and unique venture then you need to invest an amount of 25 lakh. The floor area required for it is about 500 sq feet. This is one of the most famous brands of Italian softies in south India and is expanding its business to the entire nation through its franchise outlets. Its franchise is offered at a cost of 11 lakh with a floor area of about 300 sq feet. This unique brand provides a range of 100% pure organic ice creams and is renowned for its originality. To avail its franchise you need to invest about 11 lakh and have a floor area of about 200 to 350 sq feet. It is one of the leading companies in the gelato ice cream range. To avail its franchise you will need to invest an amount of Rs. 15 to 25 lakh and rent out a floor area of about 200 to 350 sq feet. In today's highly digitized and computer scoped world, India has also emerged as a hub for these Technological Industries. Initially NIIT was completely involved in imparting computer education but throughout these years of development and digitization, it has become India's leading Global Talent Development Corporation. NIIT cannot be compared with any other computer institute which has ever entered the Indian Education Sector. NIIT continuously contributes to the Indian Business and Trade Sector by providing them with highly trained Indian human resources. NIIT has spread its roots in 40 other nations where it runs successfully. NIIT is training Indian students in the mainstream fields which have emerged as employment providers to the Indian people like Finance, IT and Banking and Commerce etc. It also imparts training in Management, Vocational courses and Business Process Management. India witnesses around 3500 NIIT centers in India itself imparting computer education to students so that they can ensure their future. As fruitful is the NIIT sector as hard is its preparation. It requires a lot of investment and only after fulfilling all these requirements, this tree will bear some fruits. During the year 2010, Franchise plus Magazine awarded it Franchiser of the Year Award for Education and Information Technology. In 2011, The Economic Times had declared NIIT as the Most Trusted Education Brand through after a survey it conducted in the year 2011. Through its employment oriented courses has kept itself into a great notice due to which it received a lot of prestigious awards. Franchise India awarded NIIT as the Best Franchise to work for Award and again Franchise India awarded it the Best Education Company to work in award. All the above facts prove by themselves the value proposition the becoming a Franchise for NIIT brings with it. If an individual wants to start an NIIT Technological Educational Franchise, he/she has to fulfill its requirements. NIIT has declared some of the requirements to establish one of these educational franchises. First of all, the individual needs to have a free hand to support the franchise financially. The minimum required to become one of the NIIT Franchise is around 17 to 25 lakhs only and if one can invest more to make the franchise appear high classed with all high class facilities, the amount sums up to 40 to 50 lakhs. Then the major requirement is of the space which is around 1500 to 3000 square feet. All this is enough to start a franchise. Once it has become a franchise, NIIT itself will provide the franchise students all study material online. At last the individual`s job is limited to finding best tutors to explain the stuff to the students. With all the Marketing and advertisement Support, Systems and Training Support offered by NIIT to its Franchisees success is just a door away for NIIT Franchisees. Success is just a small leap away after you fill all the desired requirements and just applying through the Application Form which is available on the NIIT Official Website and after that the experts will get in touch with you to guide yourself throughout the process. Chhabra 555 is one of the popular brands in Indian fashion industry and provides an exclusive range of ethnic women's clothing. It was founded in the year 1953 and its franchise was started in the year 2005. You will find all the necessary details to start a Chhabra 555 franchise store in the following article. Chhabra 555 gained its popularity with its exquisite Indian ethnic women’s clothing range. The brand’s sphere includes Sarees, Lehenga-Choli, Suit Dupatta and Bridal Apparels. Chhabra 555 has earned its reputation with the quality of clothes they provide and service with reasonable price and beautiful design. The brand was started in a shop in Delhi's Chandni Chowk 55 years ago and now is one of the most loved and admired Indian clothing brand which is known to earn great profits. Chandni chowk, Greater Kailash-I, South Extension, Raipur, Bhathinda, Panipat, Agra, Patiala, Rani Bagh, Faridabad, Rajouri Garden, Sahibabad, Indirapuram, Panchkula, Noida, Ghaziabad, and Meerut. The minimum land requirement for Chhabra 555 franchise is 1500 square feet which should be in main market area or malls. The total investment required to start this franchise is about Rs. 1 crores. This investment is inclusive of a security deposit of Rs. 30 to 40 lakhs in opposition to a security deposit of Rs. 75 lakhs to 1 crore. This might seem as quite a huge amount but then it is a fruitful business. Help and guidance in interior designing of the showroom will be provided. Chhabra 555 shares it’s launch expenses with the associates and the management executives. The term of agreement is 5 years and it can be further renewed. The management help in marketing and starting the business though the help of the franchisee is always dire. Chhabra 555 have a excellent support system. The expected return on investment for a Chhabra 555 franchise is 63% which is evaluated keeping actual sales in mind. Therefore, you will get your investment within 1.27 years. Exclusive territorial rights and performance guarantees are not provided as they are proportionally dependent factors. Chhabra 555 and their tech team will help you in setting up the showroom, design, etc once the location is finalized. They have a great supply chain of high quality. They also provide sccounting Software for billing and also provide pre-printed stationary and visiting cards. The Chhabra 555 will also suggest a training program which you have to pay for. Chhabra 555 team provides guidance and training therefore you don’t have to be an expert in fashion or retailing. For starting a Chhabra 555 franchise all you need to do is send your request and details via email or send a letter to the postal address. Being Human is a quite popular clothing brand in India which is largely recognised by the youth of the nation. The brand is owned by Salman Khan Foundation and Mandhana Industries. Following are all the details like the investments, land requirements, support and training and contact details regarding Being Human Franchise in India. Being Human a profitable franchise? With the name of Salman Khan associated with the brand there is probably no other reason for us to doubt the success of the brand and its huge popularity. Apart from being stylish the clothing line of this brand is hugely recognized because the profits of the brand are shared with healthcare and education initiatives of the Salman Khan foundation. This is a brand that does not require marketing and is yet a very profitable franchise. Being Human clothing line was launched in the year 2012 in Europe following Middle East and India. Mandhana Industries gave light to Being Human in India. The designs and clothing have been globally appreciated. The brand is largely appreciated by the youth of India. Mandhana Industries have seen 28 years of glory in the clothing business. They have a turnover of more than 1000 crores which includes 5 textile manufacturing units and 7 garment manufacturing units. They have been known to bond with companies like River Island, French Connection, Mango, Quicksilver, Springfield and many more. It also has huge brand clients like Louise Phillips, Van Heusen, Allen Solley, Pepe Jeans, etc. The industry has many more glorious achievements to be listed. Being Human is known for its support system that it provides to its new franchisers and dealers. Training, assistance, field assistance, marketing and many such aspects are considered while training the staff at head office. The brand is one of the most desired business franchises and since it is not yet exhaustive there is a lot of scope for new units to be opened. 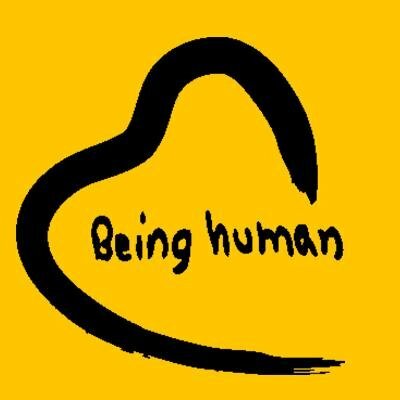 The investment required for starting a Being Human franchise has not been made cleared but is estimated to be from 50 lakhs to 1 crore. You can learn about the total investment required, land area requirement and preferred locations by dropping an email at franchisee@mandhana.com. There is an agreement made for the franchise and its duration is 3 years. It can also be further renewed. The stock of Being Human franchise is delivered on consignment basis. The profit of the franchise largely depends upon the location of the store. The profit is expected to be more in tier 1 cities and capitals. This franchise is expected to reach breakeven point in 2 to 3 years. Application process for opening Being Human franchise is quite simple. You can easily apply online by dropping an email at the address franchisee@mandhana.com. This franchise can be started in any city in India and is quite a popular brand with good reputation especially among the youth. There is a vast fashion world out there and it becomes really confusing when you want to start a business in the fashion Industry. For those of you who want to open a clothing retail store then Raymond retail shop is a good option. It is a well known brand and has a huge business in India and has been serving for 30 years. Following are all the details you should know to start a Raymond franchise. Is Raymond franchise a good business option in India? Raymond is one of the oldest and most loved brands in India. Amont the beaten suiting Raymond acquires about 60% of the market and is seeded among the top three of the worsted suiting manufacturers of the world; which is definitely quite an achievement. Some of the best Raymond brands are Park Avenue, Parx, premium suiting fabrics, ColorPlus and Notting Hill. These are well acknowledged brands and have quite a reputation in the market. With the increasing competition in the market Raymond still aces at what it manufactures. There are more than 650 retail units of Raymond that are running successfully throughout India. Raymond is looking up for expansion after having set itself in the market of metro cities. There are a lot of opportunities for new franchises to be opened and that is where you can come into picture. Raymond is looking up to opening retail stores in tier IV and V cities. Raymond is a well known brand across the globe therefore the profits are assured and return on investment is good. The cost required to open a Raymond franchise varies between 30 to 50 lakhs depending on factors like the city you have chosen to start the franchise and the location where you want to start the showroom. There is also a franchise brand fees of 6 to 10 lakhs which includes the expenditure of interior, furniture and other requirements of the store. There are certain area requirements for starting a Raymond retail shop franchise which is 1000 to 1500 square feet. Raymond franchise provides training at a local level and there exists an agreement for five years which can be further renewed. An ROI of 20 % is usually probable but the returns are good and the expected payback time of investment is 2 to 4 years respective of the location of the School and the city in which the school is located. You can apply for Raymond retail shop franchise online at the official website /franchise/index.asp page. Here you will have to enter all the details that are asked and submit it. There will be details like contact information, postal address, email id, etc. You will be asked to provide details about your financial conditions. You can clear all your doubts and ask queries by contacting the corporate office located in Mumbai. You can also send your business proposal to open a Raymond franchise by post on the address provided below. 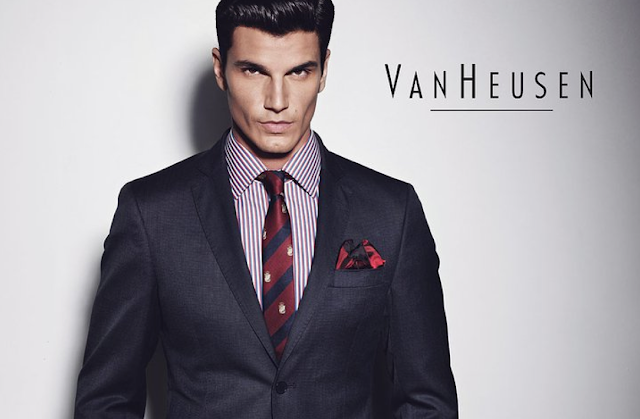 Van Heusen is a fabulous choice for all those who want to start a franchise in the fashion world. It provides an exclusive range of formal and informal clothing for men as well as women and has gained a lot of fame in the past couple of years. In this article you will find all the details regarding opening a Van Heusen Franchise in India, from the investment and land requirements to franchise fees and other expenditure. The people in India no more depend on buying cloth pieces and getting the stitched. All of them are now moving to readymade stitched clothes. This is the reason why brands are working out so well in India. There is a huge demand of fashion industry in the market as people rely more and more on branded clothes. In these circumstances it is never a bad deal to start a fashion franchise in India. Ever since 1990 Van Heusen has shown remarkable growth in the market and has appeared as a fashion giant with a huge turnover and profit. Therefore if you are planning to start a Van Heusen franchise it is a good way to start in the fashion business in India. For starting a Van Heusen franchise the investment required is about 30 to 50 lakhs. These are rough estimates and not the exact figures as the exact expenditure will depend on the location and city you choose to start your franchise in. The area requirements for a Van Heusen vary accordingly. It is more preferable if you have 1200 to 1500 square feet business area, though even if you have a retail space of 1200 square feet in a commercial area then that will do. Considering everything the investments are not so high and it is a well earning franchise. These are all rough estimates. For exact values you must contact the offices of Van Heusen. The returns and profit depends on factors like location and the city in which you are planning to open the franchise. Van Heusen is quite popular among all the fashion brands and offers an exquisite range of men’s formal clothing and has earned quite a reputation in the market. If you are not short on budget and are willing to openly invest then you can also be a part of the Van Heusen growing business. It requires you to fulfil the investment requirements. All you need to do is send an email on their email address and they will contact you back if they find your offer interesting. The email address where you can contact regarding franchising is Sudhir.kumar@madura.adityabirla.com. Otherwise for all the multi-brand outlets you will have to contact via the following email sangeet.kishore@madura.adityabirla.com. There is no contact number at which you can call so email is the only mode of communication. Starting a business can take a lot of investment and start-ups costs can be a big headache. With all the franchises now starting in various fields it can sometimes be confusing to decide where you want to invest as a businessman. Well there is an easy solution for all such problems because we have a franchise that gives high profits and the investment costs are very low. American Kidz Play school is a franchise that you can start within a few lakhs and make enormous amount of profits with good start-up revenue and a very less royalty fee. American Kids provides you with a simple business model where you can start the preschool at very low investments and you can have great returns once you choose the location smartly. All this becomes even easier because the team helps you to develop the school and advertise it in the right way to ensure that the message of good preschool learning is received by the parents. You will not have to worry about spreading the word as American Kidz is already a well renowned preschool and is quite popular for its best English training. 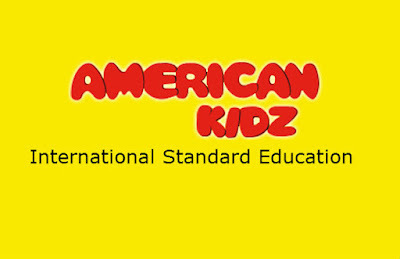 American Kidz provides the best English training and is highly recommended as it has 22 years of teaching experience. It was started in India in the year 1991 and is now spread in about 400 cities and towns. They provide a motivating and fun environment for children to learn even more. American Kidz is a business worth investing in as it is both fun and requires very little investment and the profit rates are quite high. For starting American Kidz Preschool Franchise you require around Rupees 2 to 5 lakhs including the franchise fee and cost required to create a preschool aura. The land for this preschool should have area from 1200 to 1500 sq ft and should be developed at ground floor. A playground is dire and the school must be in residential area with good ventilation and attached wash rooms. A negligible amount of royalty fee of 5% is there. The return of investment of American Kidz in the beginning is around 30 to 40% depending on the site of the school hence making this franchise very profitable. It is a 3 year franchise agreement which can be further renewed. To apply for the American Kidz preschool franchise, check out the following link http://www.americankids.in/franchisee.html . After filling the form you can send it to the Managing Director at corporate office in Meerut. For a franchise in your town you can call Amod K Bhardwaj at the following numbers +91-9319115832, +91-9319305832. The office number is 0121-4010944. The final location will be finalized by the franchiser after the discussion.